Let’s talk width: almost 11 feet (3.35 m). You want to hear about coverage? Then pay attention to an area of more than 75 acres in a single eight-hour day. And as for strength, well, how does a hightorque 60.0 hp (44.0 kW)1 turbo-charged diesel engine sound? 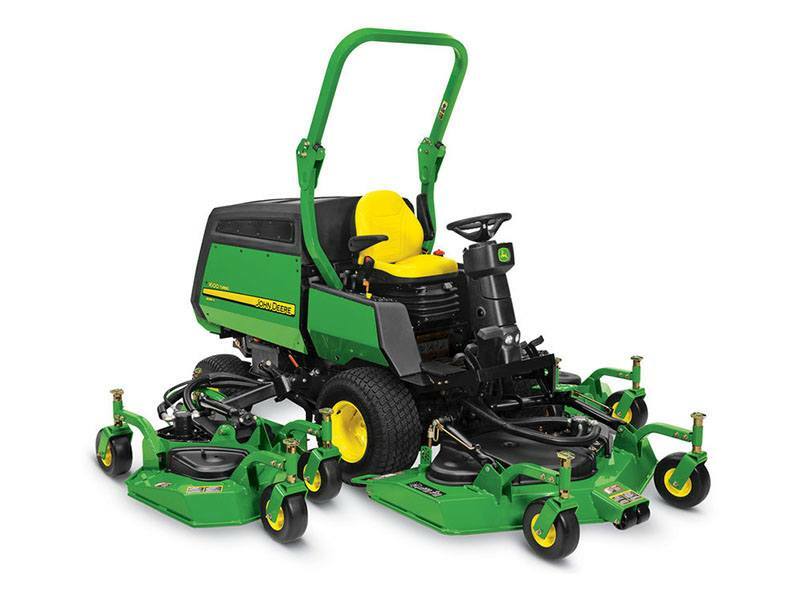 No matter how you measure it, the 1600 Turbo Series III Wide-Area Mower means business. With sweeping deck coverage, an innovative baffling system that virtually eliminates clumping and wings that follow ground contour, the 1600 delivers a consistent quality cut. And thanks to on-demand or full-time rear wheel drive and an advanced top-draw cooling system, it can keep at it acre after acre. And don’t worry – the 1600 can think small, too. Mowing with just one wing and the center deck, or the center deck alone, it’s flexible enough to maneuver along paths as narrow as 84 inches (2.13 m) wide.